Now we’re going right back into my early gaming days! The first video game I remember playing was Tennis (Pong) on something with a wooden box my uncle bought in the late 70’s – we knew it was a special occasion when we were allowed into “the parlour” on our weekly Friday night visit to my Grandma and Grandad’s small mid-terrace house to see it! 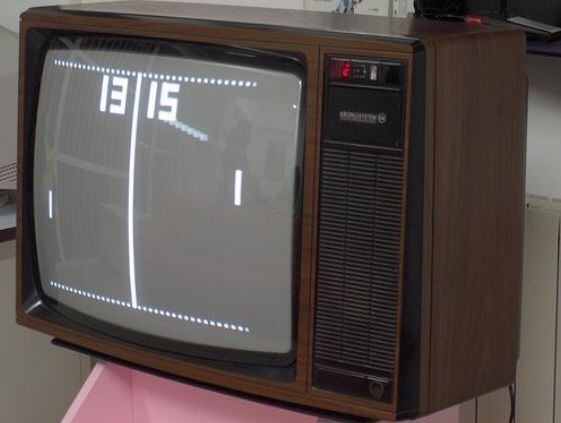 It had two paddles, a lightgun, and you flicked a switch to cycle between tennis, football (Pong with two bats) and a couple of games where you shot a square moving around the screen, providing you had the gun pressed against the TV! No idea what it was. A Telstar maybe? Some knock off? 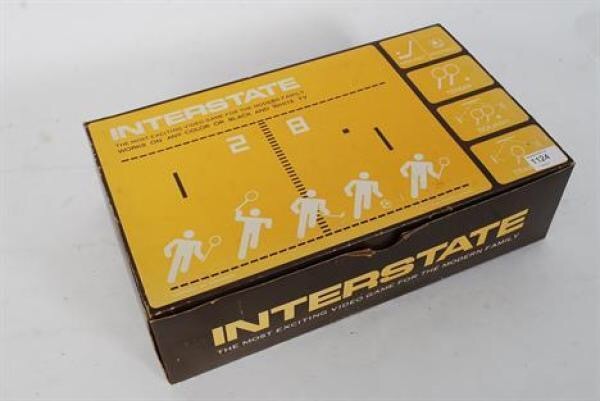 What I do remember is that it was also the first game I owned when we got our own Interstate 1160 console soon after, with exactly the same set up. And a garish orange box that I think still sits in my Dad’s loft. That would have been around 1978 when I was six years old. The same time that Space Invaders appeared. I don’t have any recollection of arcade games back then, and having a game like that at home was still science fiction, although in reality my Grandstand Invader From Space game was only a couple of Christmasses away! But what I did have was my Tomy Demon Driver tabletop electronic game, which brought you “all the thrills & spills of Formula 1” right there in your hands! To a six year old, you can only imagine how realistic this was – the steering wheel was the highlight, making it just like driving a real car. 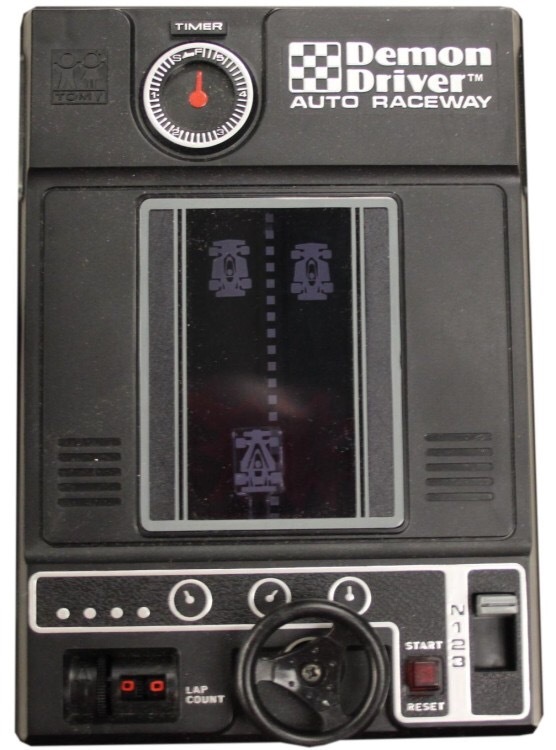 You had three gears too, that sped you up and slowed you down as you raced along the plastic film track filled with other racing cars to avoid as you racked up laps on the counter. Crash and it was game over, but a new game was only a firm push on the Start / Reset button away. It’s hard for anyone that wasn’t that age at that time to imagine not just how much fun this game was, but what a big deal it was. We’d flicked balls into plastic pockets, rolled balls into holes and, more recently, pumped balls submerged in watery cases into hoops and stuff, and let’s not forget Pocketeers (definitely worth a separate post! ), but this was a whole different level with batteries and everything! A real taste of things that were, in retrospect, to come very soon, but were then still beyond our wildest dreams. And almost forty years on, with an engineering degree behind me, I still can’t work out how they pulled off the collision detection. Two films? Holes in one? The mind boggles to this day!